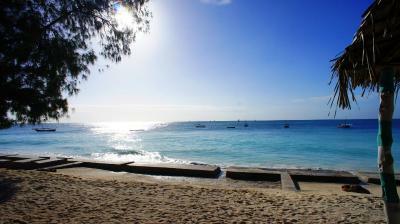 Lock in a great price for Smiles Beach Hotel – rated 8.3 by recent guests! Location is great and staff are very friendly. Rooms are very clean and staff do a lot to protect against mosquitos, which reassured me as I’m nervous about them. i like the cleness and the workers their they are very kindful and they always smile and helpful.. The breakfast was good, but needs a little variety. People working there are really kind and helpful. Property is really clean and maintained. It is close to the bars and restaurants. Excellent, friendly staff. Always doing something extra to help. I am sitting on my ocean view deck of the smiles hotel writing this. We have extended our stay because this is such a wonderful place. 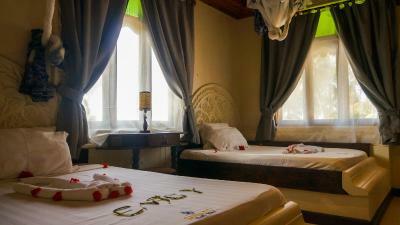 We have a beautiful room, very comfortable bed, we are very happy with our choice. 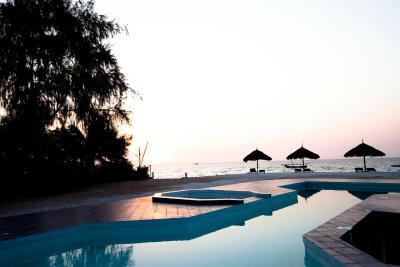 Don’t hesitate to book this place! Perfect location, nice stuff, big rooms and nice pool. They have nice area for sitting on the beach. The breakfast was basic but filing. 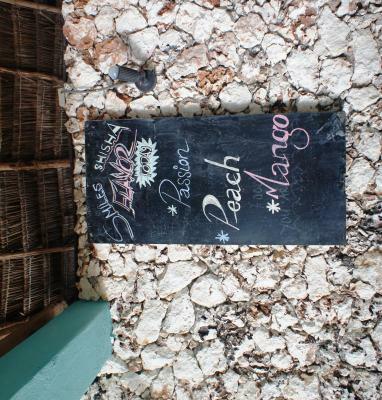 Fresh fruit and some items cooked to order. The location was on the beach. The staff was amazing, they gave us a room in the afternoon to washup before the trip. Even though people were complaing for the food i found the breakfast to be very nice. The hotel is exactly on the beach. All the rooms have sea view. The staff does turn down service every day and keeps the room clean and uses anti moskitoes spray. The wifi is everywhere on the territory. Once a week the management of the hotel organizes a sunset boat trip. 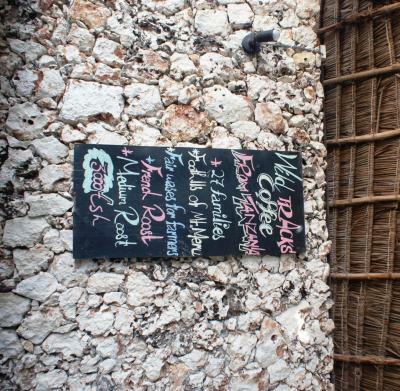 The staff is very helpful and caring (when I got sunburned they got for me fresh aloe vera leaves from their garden). Mohamed from the receiption ordered for us taxi to the airport and helped with luggage (very nice employee!) The sunsets from the sunbeds are amazing! Great location and really nice people. Breakfast was good. Easy to walk to town and lots of different places to eat. 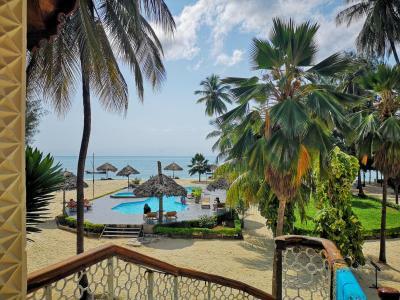 Smiles Beach Hotel This rating is a reflection of how the property compares to the industry standard when it comes to price, facilities and services available. It's based on a self-evaluation by the property. Use this rating to help choose your stay! 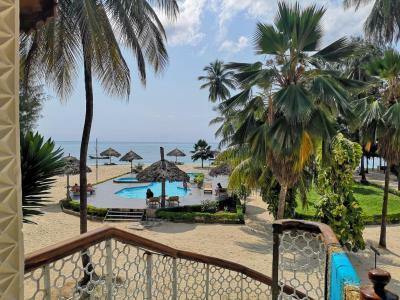 One of our top picks in Nungwi.Located a private stretch of Nungwi Beach, the refurbished Smiles Beach Hotel features sun loungers and hammocks, as well as a large tropical garden. 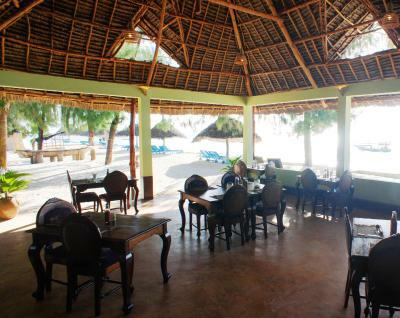 There is also a beach-side restaurant and free Wi-Fi in the hotel rooms. 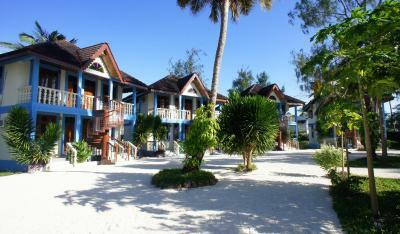 The air-conditioned rooms all come with a balcony and views of the Indian Ocean. 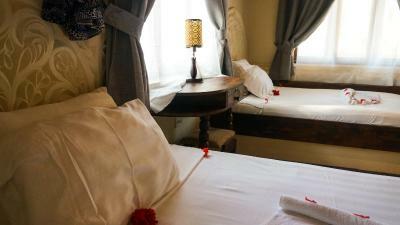 They are also equipped with satellite TV and carved wooden beds. Each private bathroom has a shower. 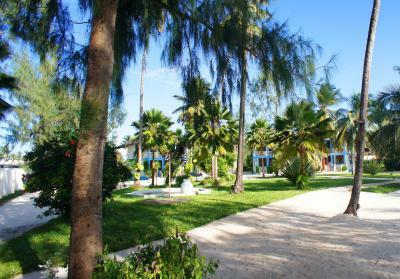 Guests can relax by the beach or in the garden. 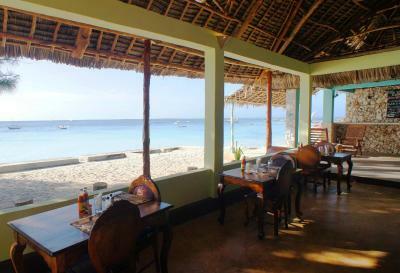 The restaurant serves Zanzibari and seafood dishes with fresh, local ingredients. 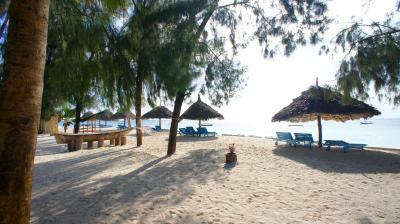 Smiles Beach Hotel is located just 650 feet from downtown Nungwi. 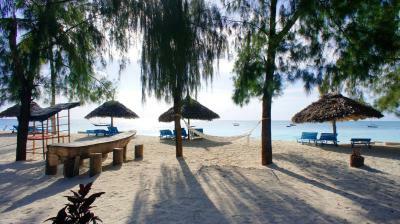 Stone Town is 37 mi away and Zanzibar Airport is 40 mi away. 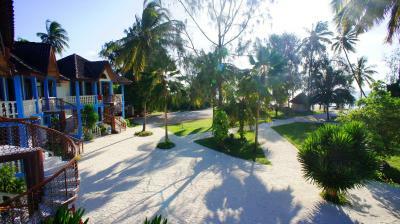 When would you like to stay at Smiles Beach Hotel? 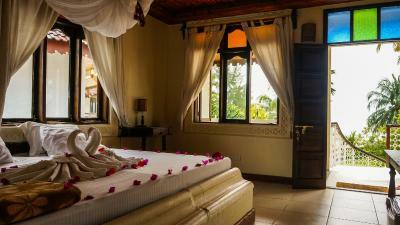 Featuring a balcony with Indian Ocean views, this air-conditioned room comes with two queen beds and satellite TV. The private bathroom is equipped with a shower. 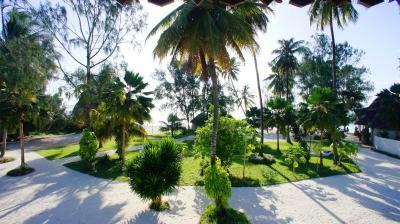 Featuring a balcony with Indian Ocean views, this spacious air-conditioned room comes with three queen beds and satellite TV. The private bathroom is equipped with a shower. 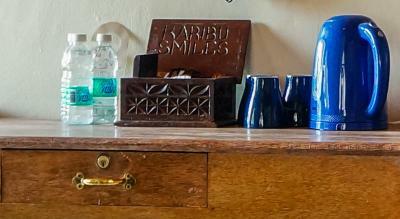 House Rules Smiles Beach Hotel takes special requests – add in the next step! Free! Up to two children from 0 to 4 year stay free of charge when using existing beds. 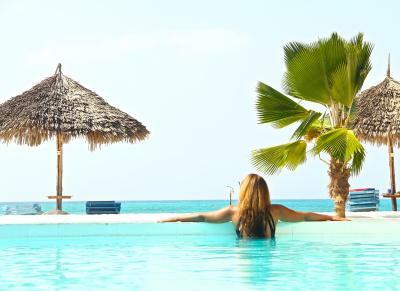 Smiles Beach Hotel accepts these cards and reserves the right to temporarily hold an amount prior to arrival. Food and service in the restaurant left a lot to be desired. Very very slow. The restaurant was a bit dead in the evening and you’d have to go elsewhere if you wanted a bit of an atmosphere. Alcohol was a bit of a miss. i didn’t like the pool area it is sandy.. the beach is unreachable and the place is too quite i didn’t realise that it is this much quite.. this was not ok for me :-) although the hotel were good and they understand the situation and refund me good price from my stay more than what booking was replying to refund me. Beach in front of the hotel was full of seaweed. There were just a few spots that hasn't been hit by the same. 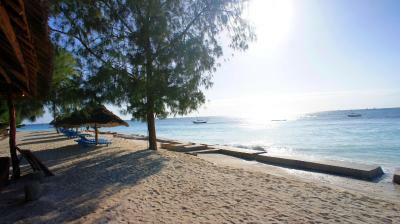 If you go in March have in mind that in the morning till 13pm, the tide is really low and you cannot swim. No alcohol serving in the hotel. No room service. No night program. A lot of people selling random trips and stuff on the beach, they are really annoying. Beds a bit too hard. “Hawkers” of curios and adventure trips very tiresome. Smiles staff did a good job of keeping them off property. Close to everything, but still quiet. Good breakfast. 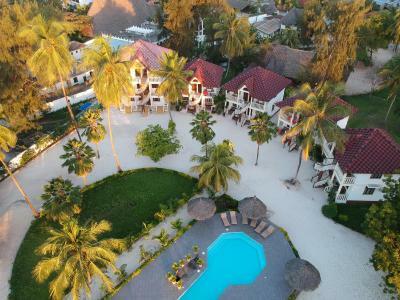 Spacious and beautiful hotel compound. Beach chairs directly on the beach. Swimming easily possible during high and low tide. 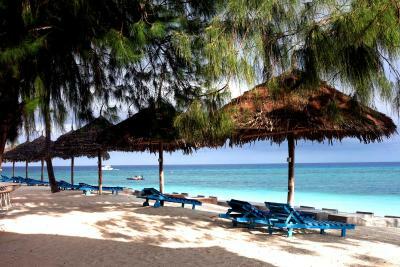 Book a private tour to Mnemba Atoll with 3Brothers Excursions, it is fantastic snorkeling! Why this hotel has so good review? The room was a real disapointment. Shower was really depressive. Breakfast was bad and the personnel was lost with the orders. 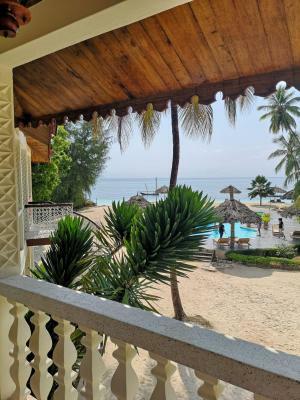 The worst place we stayed in Zanzibar. Air condition in the room. Next to much better restaurants and hotels. Could have better dinner options. Breakfast was amazing...loved my banana pancakes. 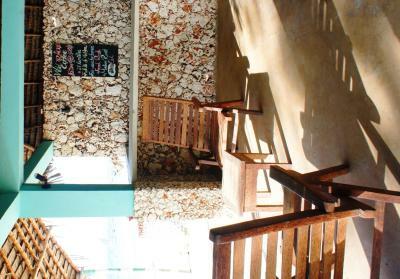 Staff was super friendly and kind...Ayesha the receptionist and Frank and Mohamed the kitchen staff. The restaurant view is stunning!! Some of the restaurant staff could care a bit more of their guests. 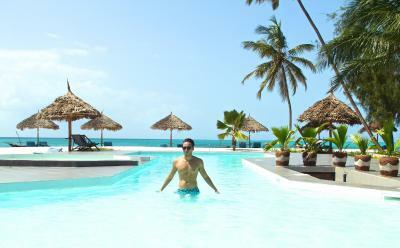 Perfect location (a bit more quiet than the most busy beaches at Nungwi) and a good pool if the tide was out. 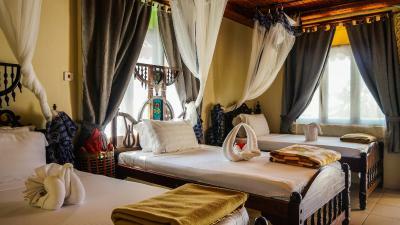 The rooms where cleaned every day and mosquito nets where fixed in the evenings. Don’t miss the turtle aquarium just 15 min walk away. Big shoutout to the Masai and Frank Dominik who were super friendly throughout the whole stay. The room was very beautiful, the whole team is nice and welcoming. 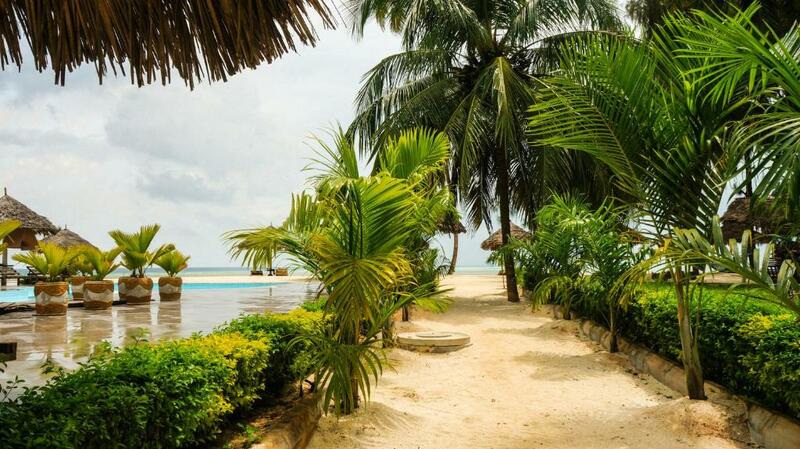 The location is perfect and the beach is very nice. The wifi works everywhere. 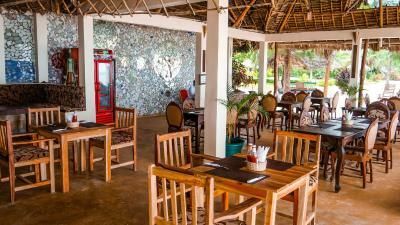 The staff is very friendly, with a special mention about the Masai that provides security "Baraka" who is really great because he ensures the tranquility of customers. The hotel is very quiet, the breakfast is good. In this hotel, we were in very safe situation and we recommend it. Fantastic place with a lovely view from every room and balcony. Superb service, close to everything but still quiet at night. 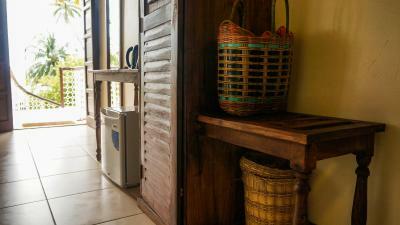 Good aircon, complimentary water, coffee and tea in every room and a small fridge. It was almost impossible to get assistance from staff/reception after 10 pm at night. All closes down.